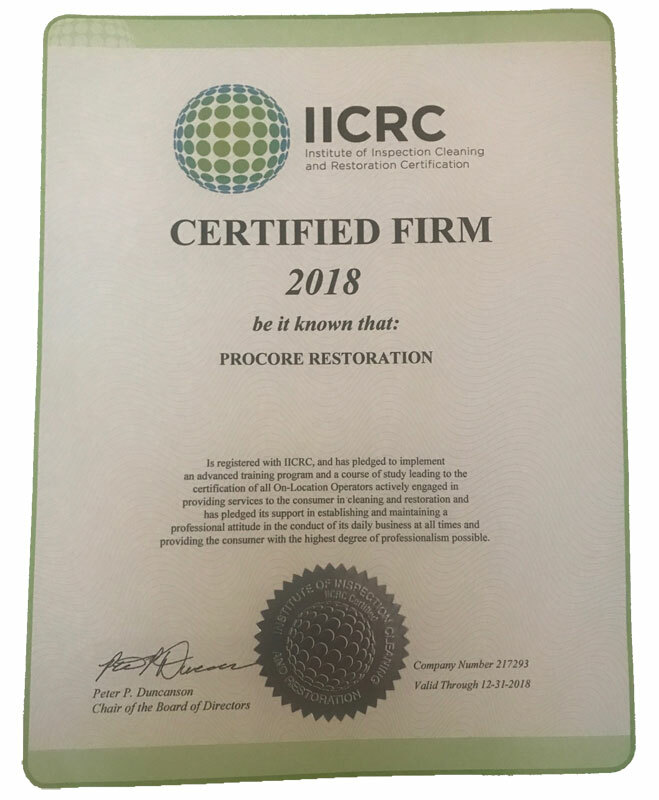 When your home or business has become damaged from a water accident, flooding, is mold infested or has suffered smoke and fire damage, ProCore Restoration are the experts you can turn to for expert assessment, damage control, and repair. At ProCore Restoration, we have the professional experience and compassion to help you through this trying time. Our long-time staff provides you. We consult with you and your insurance company. We navigate the insurance-claims maze to ensure your fair and speedy settlement. With 20 years experience in disaster restoration services completed, we understand that every situation is different. And yet, the goal is the same. You just want things back to normal. Until the trauma is behind you and you are back on track, ProCore Restoration will be there. After all, your satisfaction is our number on priority- now for years to come. For the best service and finest craftsmanship in the restoration business call us. Our quick response teams provide. We can’t predict disaster. But with ProCore Restoration on your side you can be rest assured knowing that our professional restoration team is ready and able to respond to your situation and work to minimize damage. We will be there quickly and we will stay with you until things are back to normal.